Elaine Chao is the 17th U.S. Secretary of Transportation after winning overwhelmingly approval Jan. 31 in the Senate. She will now manage the U.S. Department of Transportation’s $98.1 billion annual budget and 56,000 employees. The agency could get extra busy if President Donald Trump is able to delivery on his campaign promise for “big league” investment in transportation infrastructure. The 93-6 vote marked the first time in five rounds of confirmations that Chao did not receive unanimous support. Minority Leader Charles E. Schumer (D-N.Y), Kirsten Gillibrand (D-N.Y.), Jeff Merkley (D-Ore.), Bernie Sanders (I-Vt.), Elizabeth Warren (D-Mass.) and Cory Booker (D-N.J.) voted against Chao, largely because of the Trump administration’s temporary ban on travelers from seven countries. Chao’s husband, Majority Leader Mitch McConnell (R-Ky.), voted present. 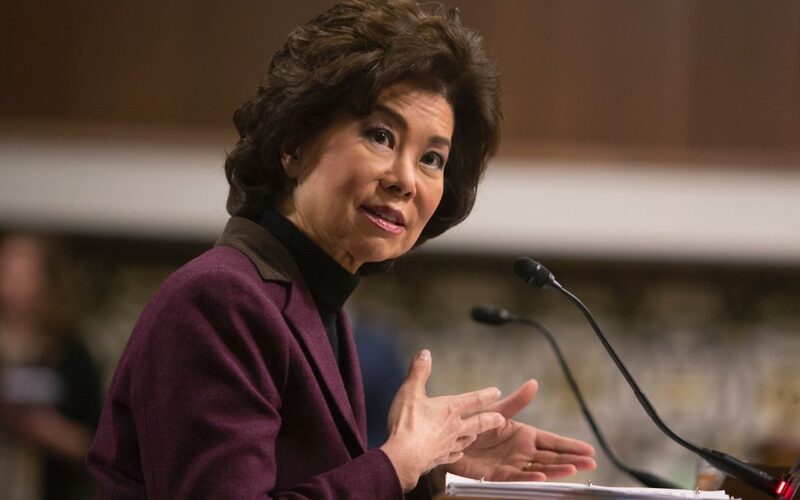 Chao helped lead federal highway, transit and aviation programs as deputy secretary of the U.S. Department of Transportation during the George H.W. Bush administration. She was labor secretary through both terms of the George W. Bush administration. Earlier, Chao was deputy administrator of the U.S. DOT’s Maritime Administration, and chairwoman of the Federal Maritime Commission.